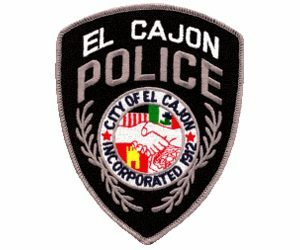 El Cajon police shot a man Thursday after he repeatedly pointed a gun at officers outside his estranged wife’s home, police said. Officers responding to a 6:52 a.m. 911 call from a woman who said her estranged husband was at her front door with a gun, demanding that she hand over their two children, found Jose Albert Garcia in the driveway, police said. Garcia was uncooperative, showed officers a gun in his waistband and eventually drew it, police said. Crisis negotiators tried to reason with Garcia for about 90 minutes, and Garcia started waving around the gun, threatening to shoot himself. Officers fired beanbag rounds at Garcia, but they were ineffective, police said. Garcia pointed his gun toward officers and pulled the trigger, but the weapon did not fire, police said. Though officers repeatedly told Garcia not to point the gun at them, he racked the gun and pointed it toward officers, prompting them to open fire, police said. Garcia, shot in the chest, was taken to a hospital where he underwent surgery, police said. His condition was unavailable late this afternoon. Garcia was expected to be charges with assault with a deadly weapon on a peace officer, police said.